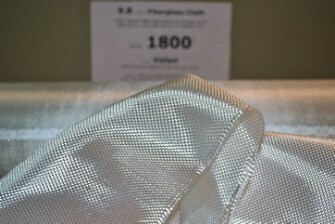 Style 1800 fiberglass cloth is a 9.8 oz/sq yd plain weave boat and tooling type fabric with a thread count of 16 x 14 ends/inch. 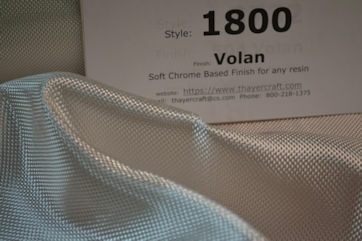 Style 1800 uses the yarn ECK 18 1/0 in the warp and fill. 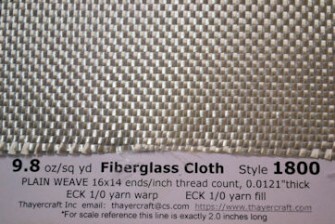 The "K" glass filament is 13 microns and is much bigger than the 9 micron "G" filament used in style 7500 fiberglass cloth that has the same weight and thread count. 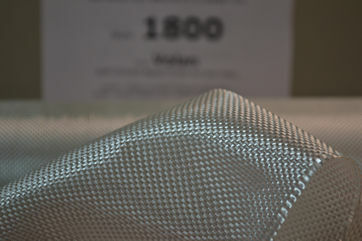 The thicker 13 micron filament flatter yarn in 1800 makes it quite a bit stiffer than the similar style 7500. We're putting it here on the surfboard page because we did see some surfboard companies using this cloth making fin blank material many years ago. 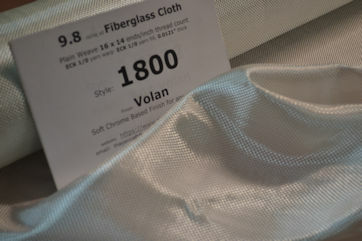 It is finished in Volan and will have a green tint. 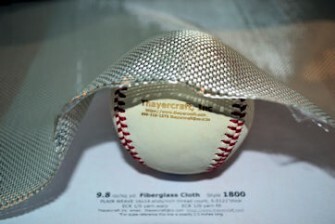 Because it is a much cheaper and stiffer fabric than the style 7500 it is priced accordingly. 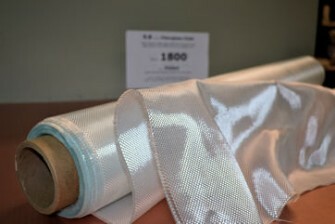 The Photos are of a 38" wide roll on the factory core but what you'll be getting from this page is 25" wide. All cloth is sold by the linear yard. 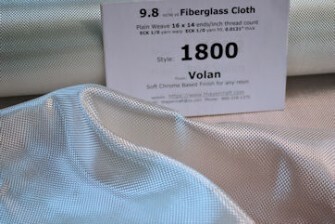 If you need wider style 1800 finished in Volan click here.